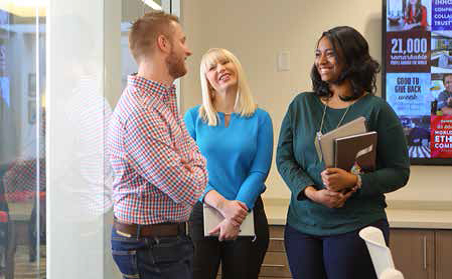 We know that an inclusive workplace brings competitive advantages, and we want our workforce to be as diverse as the communities in which we live and do business. By building a workplace that welcomes and respects a multitude of perspectives, we will attract, develop and retain world-class talent and compete globally in new product categories. Toward those ends, we have established a goal to become an industry leader in diversity and inclusion by 2020. Diversity and Inclusion the Hershey Way: What Does It Mean to You?